Sensible Investing’s advocacy of long-term, low-cost and broadly diversified investing is based on the work of many prominent academics. Several of them – Paul Samuelson, Harry Markowitz, Robert Merton and, most recently, Eugene Fama – have been awarded the coveted Nobel Prize. But one Nobel laureate who doesn’t always receive the attention he deserves for his contribution to our understanding of asset pricing is William Sharpe, retired Professor of Finance at Stanford University. 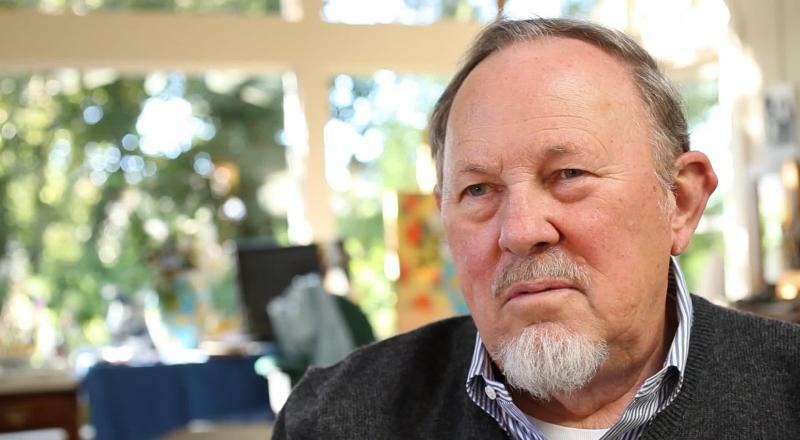 We met Professor Sharpe at his home in Carmel, California, and started by asking him about the work for which he won the Nobel Prize in Economics – the Capital Asset Pricing Model. SITV: You introduced the Capital Asset Pricing Model in the early 1960s, and at the time it was ground-breaking. In simple terms, what is the CPAM? William Sharpe: The Capital Asset Pricing Model theory model is a theory of how security prices are formed in an efficient market. It basically comes to two or three key conclusions. One conclusion is that a highly diversified portfolio that’s representative of the market in question – all the stocks, all the bonds, more or less in proportion to what is available – is a very efficient portfolio. It’s a very good investment vehicle. Another conclusion is that you can get a higher expected return – not a guaranteed return, but expected return – by taking more risks. But not just any risk; you do it by taking the risk of doing badly in bad times. And the measure that came out of the theory for the extent to which a security or a portfolio is expected to do badly in bad times was called beta. So if you hear about a security’s beta, that’s a measure of that kind of risk. It’s also, according to this theory, a measure of the expected return in that portfolio or security. SITV: Even when you were awarded the Nobel Prize for your work on the CAPM in 1990, nearly three decades later, it still didn’t receive much attention. Did that surprise you? William Sharpe: No, no. It’s sort of a fairly abstract work. And my theory has evolved, so we now have much more sophisticated theories of market equilibrium. The conclusion that you should buy index funds wasn’t highlighted by the Academy or by the press. I mean the Nobel Prize is very much an academic prize. I remember one of the winners of the Physics Prize gave a talk at the banquet and started by saying, this has no practical value whatsoever. I told him afterwards I’d kill to be able to say that. I’d never get away with it in an MBA class! SITV: Nevertheless, you’ve always strongly advocated passive investing, and that presumably is as a result of your work on the CAPM? William Sharpe: Well, there are two arguments for being passive rather than active. One is sort of explained by the complicated mathematics of the Capital Asset Pricing Model. But there’s a much simpler argument that takes you pretty much to the same place, and that is the following: think about all the securities in a marketplace and think about a strategy of investing proportionally, or broad indexing. If I have 1% of the money in that market, I’ll buy 1% of the stocks of every company in the market and I’ll buy 1% of the outstanding bonds. So I’ll have a portfolio that truly reflects the marketplace. Then think about all the people engaging in other strategies, active strategies, holding different amounts of this or that. Then you ask at the end of any period - be it a year, a month, you name it - What did the passive investors earn before costs? And let’s say that’s 12%, just to take a number. What did the active investors make before costs? It has to be the same number. So, before costs, the total market made 12%, the indexers made 12% and the active investors made 12%. After costs is a different story. A well-designed index fund should have a very low cost of management. It should also have very low turnover, very low transactions costs. Actively managed funds by their very nature have higher management fees, they employ more skilled people. They also have transaction costs because they’re active. So, after costs, the average passive investor must outperform the average active investor. That’s just arithmetic. SITV: You make it sound so obvious, and yet the majority of investors still choose active fund managers. Why do you think that is? William Sharpe: I suppose it could be a lack of understanding of the simple arithmetic. Or, for some people, it can be a desire to take a flyer, take a chance, have the prospect of beating the market. If you do it in moderation and the costs are not huge overall, and if it’s pleasurable, that’s all well and good. And of course some people who do that would do better than the market and some people would do much worse than the market. You can hope that you’ll be in the first group but obviously only a minority can be above average. The average is lower than the average passive fund. SITV: Passive investing is gaining in popularity - both in the US and in Europe. Do you see that continuing? William Sharpe: Well, I’ve seen it change in the US, but not dramatically, in the individual market, the institutional market, pension funds and endowments. There’s been a greater acceptance of passive and a higher proportion placed in so called the index funds. But there is a more subtle change I think you see everywhere in that people are more diversified than they used to be - not necessarily with explicit index funds but active funds that are more broadly diversified. There’s still a lot of turnover – and cost as well - but at least there’s more diversification, and that’s a good thing. SITV: There’s more ‘noise’ surrounding investing in the US than the UK - more money programmes on TV and radio shows, more investment magazines and so on. What do you make of the endless diet of forecasts and stock tips? William Sharpe: Well, different experts are favouring different stocks, or else the stocks that are favoured by everybody would have already gone up in price. So it’s definitely, pick your publication, pick your expert, pick your mutual fund investment company. There’s a diversity of opinions on stock prices. The price of a stock represents a kind of an average of people’s opinions about the prospects of that company for the future. And there will always be some who think that they are better than that price warrants, and some who think they are worse than that price warrants. But I guarantee you, there’ll be people on either side. Writing that you should put all your money into index funds doesn't sell a lot of publications. SITV: So what would you say are the golden rules of investing? William Sharpe: There is a rule in real estate that the three most important things are location, location, location. My rule in investments is that the three most important things are diversify, diversify, diversify. And then I’ll give you three more: keep costs low, keep costs low, keep costs low. The simplest way of dealing with it is via a very broadly diversified, very low-cost index fund. You can do it in other ways that would be a lot more expensive. But at least worry a lot about diversification and cost. Though retired from academic life, William Sharpe remains an Emeritus Professor of Finance in the Graduate School of Business at Stanford University. He also blogs regularly on investment issues. Sharpe is clueless about investing. He assumes the market is almost completely efficient and fails to differentiate intrinsic value of an asset and the price. Furthermore he assumes returns are normally distributed instead of a scalable distribution, so his ideas lead to hopeless results, but nevertheless his advice is good for passive investors and still ahead of most pseudo active investors who are really gamblers. But anyway, he is clueless when it comes to effective investment concepts. Appreciating the time and energy you put into your blog and in depth information you provide. It's good to come across a blog every once in a while that isn't the same unwanted rehashed information. Excellent read! David Plecha: How worried should we be about the 'bond bubble'?